Whether sharing a meal, studying Scripture, gathering to pray, playing games, or coming together to offer encouragement and support, connection and nurturing community are important parts of who we are. Below is a sampling of small group opportunities at First Mennonite. Small groups meet weekly, bi-weekly, or monthly. Some gather in homes, some at the church. Some share a meal; others gather for prayer, sharing, study, or all of the above. New groups are typically formed in the winter, but group membership is flexible throughout the year. If you are interested in joining a small group, fill out the small group form or contact a pastor or talk with an elder. Spiritual direction small groups gather to explore together how God is moving and speaking in their lives. Group members typically commit to meeting monthly for a year or more. Groups are guided by trained leadership. If you are interested in joining a spiritual direction small group, please contact Pastor Debra. Two Bible studies are hosted in the church library on Thursdays. The Early Morning Bible Study gathers at 6:45 am and discusses a Scripture passage (or two) from the upcoming Sunday’s Revised Common Lectionary selections. The group meets almost every week and discussion is facilitated by Pastor Michael. The later Thursday Morning Bible Study meets at 9:30 am, rotates discussion leaders, and chooses a different focus each semester. Both groups include time for sharing and prayer and are open to anyone; come anytime. With participants ranging all ages and ability levels, sports teams compete in several local leagues, including volleyball (winter), ultimate frisbee (spring/fall), and softball (summer). 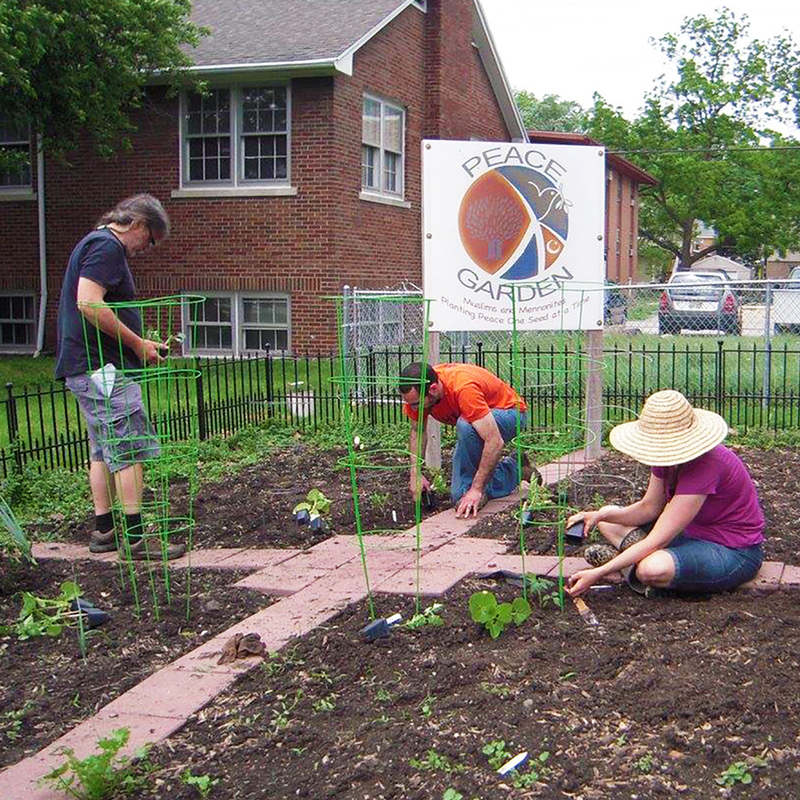 This group encourages congregational earth care initiatives and tends the Peace Garden west of the church. All are welcome. To support the relationship with FMC’s sister church, El Divino Redentor, in Bucaramanga, Colombia, this group meets periodically. All are welcome. Many FMC participants are active on church committees—Service and Outreach; Hospitality and Fellowship; Christian Education; Worship; Property and Finance—which provide opportunities to connect with others while carrying out the work of the church. This group meets during the Sunday School hour each week, plus monthly (or more) for games, food, or other activities. Knit & Nurture meets Sunday morning during the Sunday School hour for a time of sharing. All are welcome (knitters and non-knitters). All are welcome to join in any Sunday for this discussion of current events, which takes place during the Sunday School hour.